US has been the leader in denim fabric production since the 19th century and dominated the scene till the 90s. However, as is well known, the production capacities in US kept on decreasing in the last 2 decades and today the capacities are pale shadow of what they were before. However, it would still be a good idea to know how much of denim fabrics are ACTUALLY being produced in the US. Table showing the actual production figures (quarterwise ) for blue denim fabrics in US in all quarters of 2009, 2010 and first 2 quarters of 2011 . Graph showing the trend of this production . 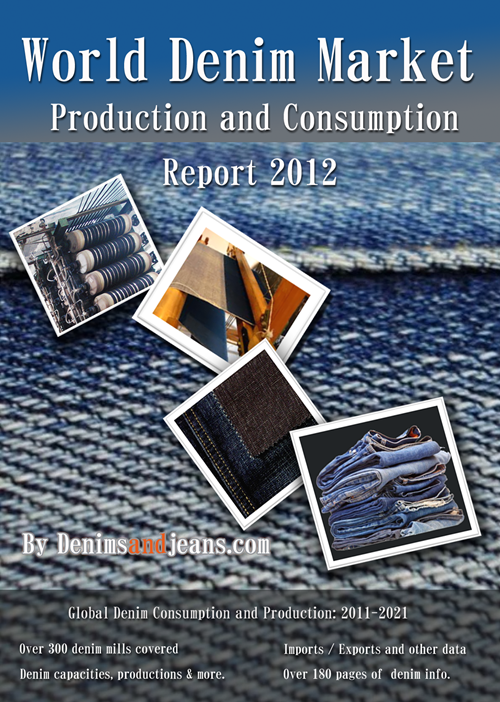 Figures for actual consumption of denim fabrics in US for local jeans and other denim apparel production.